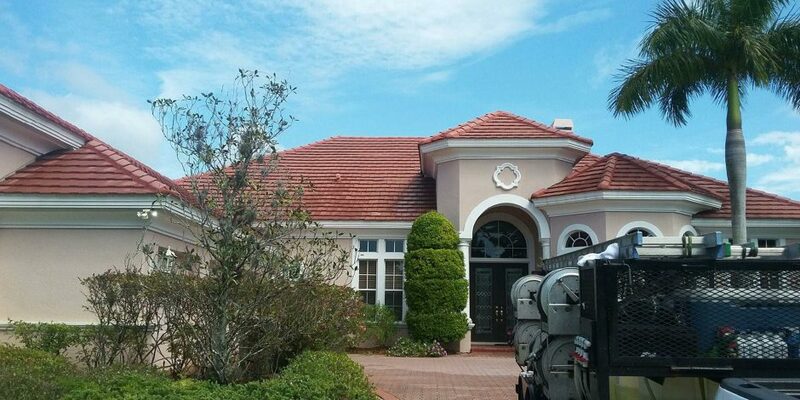 Tile roofs have been called the top choice in roofs and come in many decorative designs and colors. 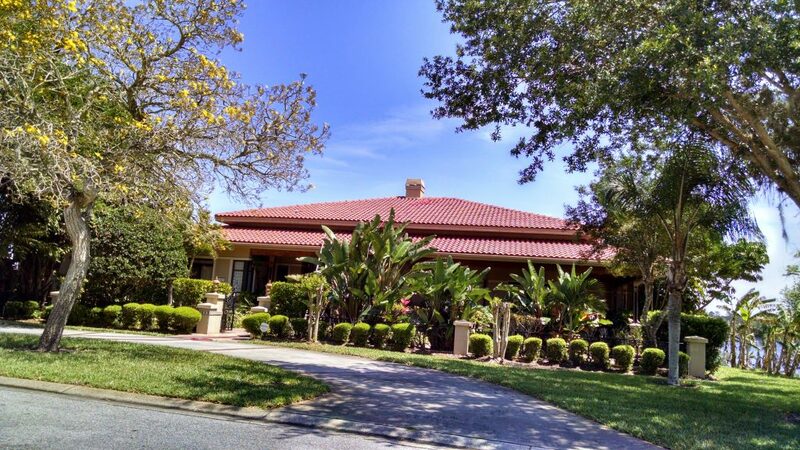 They add style and curb appeal to many homes here in Florida and are very popular. Unfortunately there is one drawback that they all have in common. They all get very dirty, full of mold, and need to be cleaned properly. 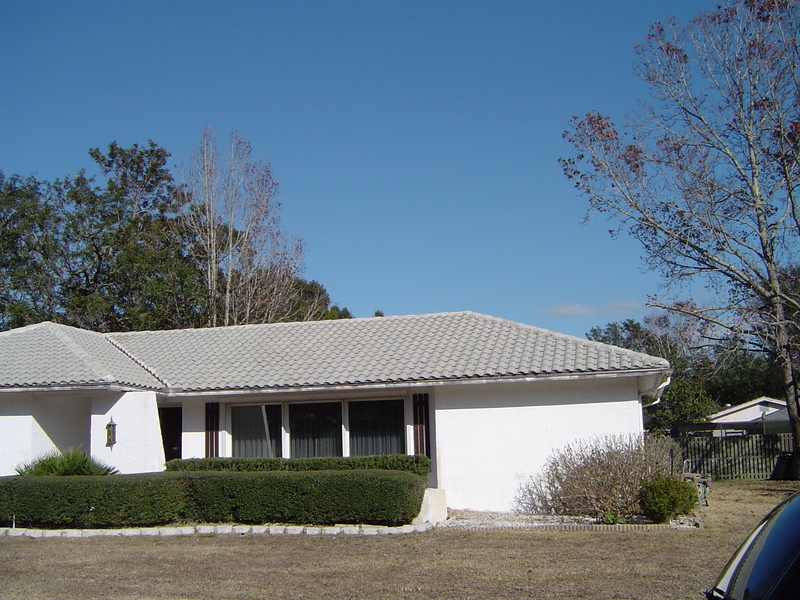 The black discoloration you notice on your tile roof is not dirt, It’s mold and algae. 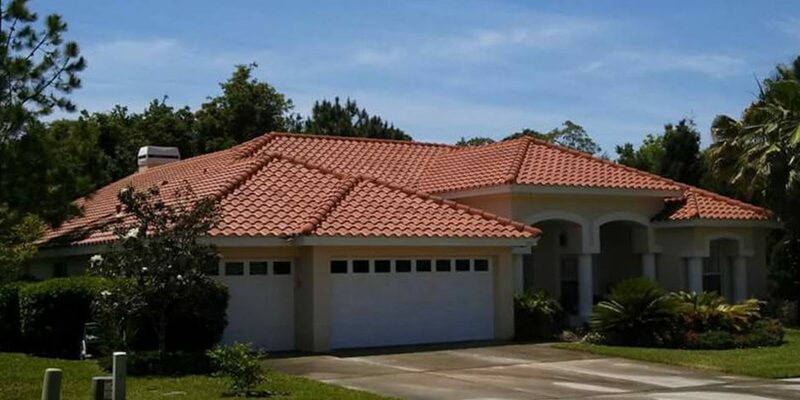 Because roof tile is a very dense product and does not absorb moisture well, it resists the growth of mildew, algae and moss better than most roofing materials. However, even with a durable product such as clay or concrete tile, if enough cycles of heat, moisture, and light are present these spores can begin to grow and start feeding on organic materials on the tile surface. Roofing tiles that have not been cleaned and that have turned your tiles black with mold can actually rob you of your homes ability to cool properly by retaining heat rather than reflecting it, ultimately causing your cooling system to be over worked and sending utility bills soaring. It’s much like placing your hands on the surface of a black car and a white car in direct sunlight. The surface of the white car will be much cooler because it does not retain the heat, it reflects it. The difference in temperature is amazing. Just imagine how hot your untreated roofing tile can become in the middle of the summer exposed to direct sunlight. 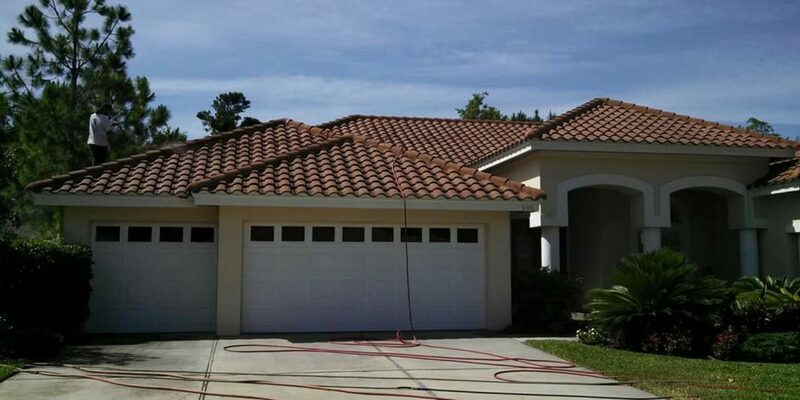 Concrete and clay tiles that are subjected to this intense heat can get so hot that they become very brittle and crack, much like leaving pottery or clay bowls in an oven for too long under intense heat. Currently no manufacturing procedures, or roof coatings, have any long term effects on inhibiting the growth of mold, mildew, algae, or fungi. Regularly scheduled treatments once or twice a year should effectively remove them. 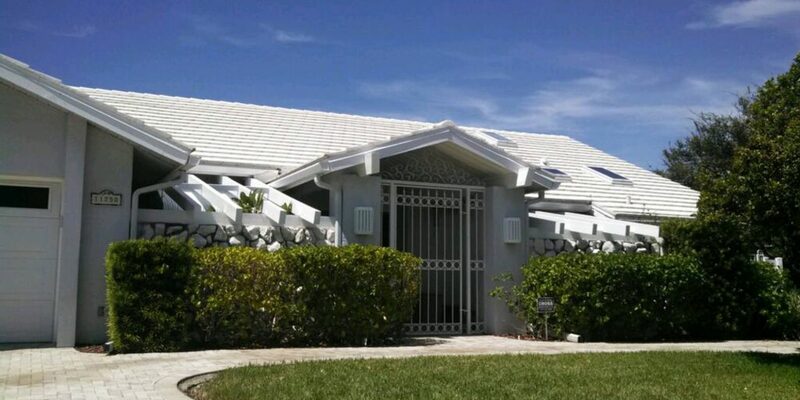 These treatments should only be done by a professional experienced company who is familiar with tile roofs due to the fact that this procedure can be very dangerous for anyone who is not used to walking around on them. 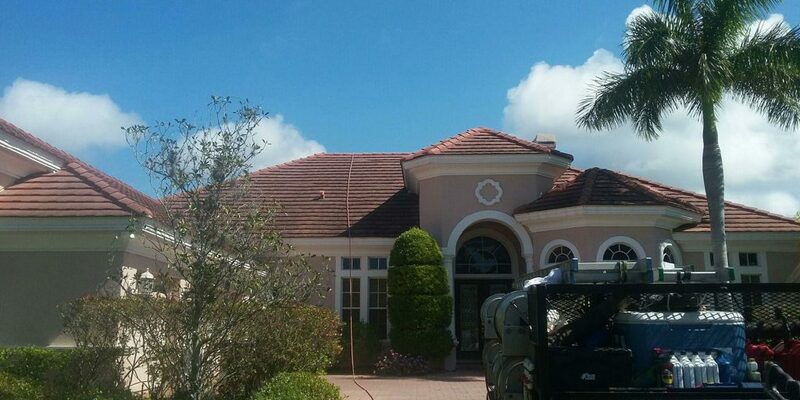 All Surface Pressure Cleaning is very familiar with tile roofs and can clean them safely. 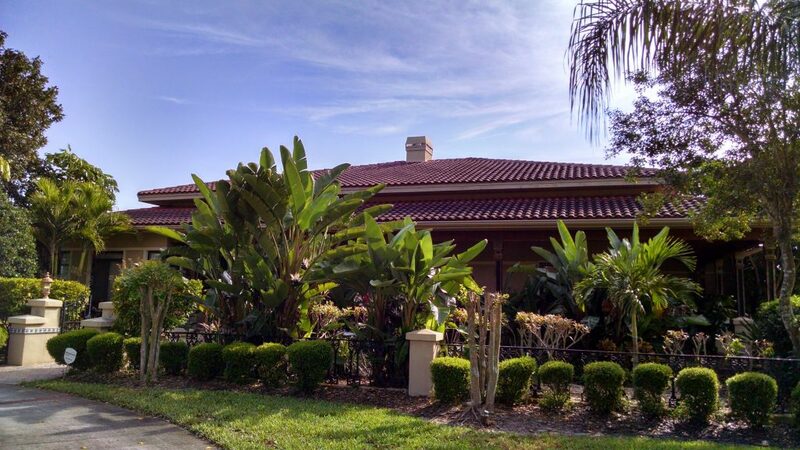 Our experience of over twenty years has refined our method of tile roof washing allowing us to kill mold spores and algae not just at the surface but at the root where it grows, while preserving the integrity of your tiles. 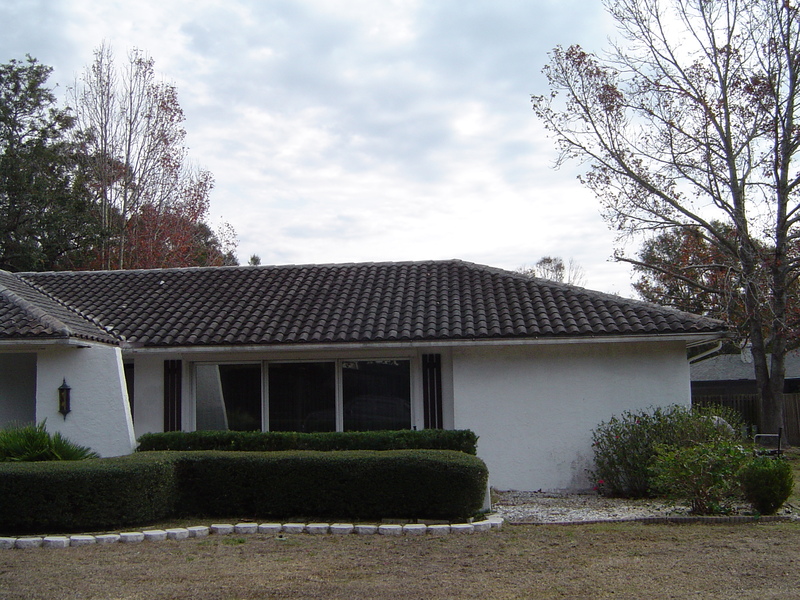 We always do a final inspection and rinse down the exterior walls of your house and any and all plants and bushes. What you’re left with is a great looking tile roof that brings back your home’s curb appeal and is more energy efficient. 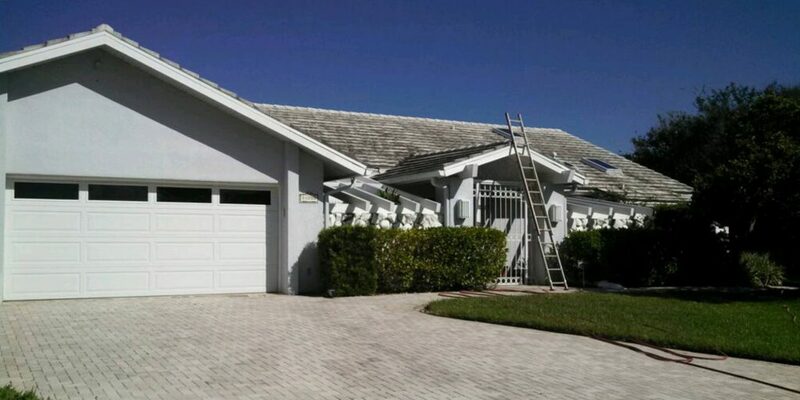 Everyone needs a roof over their head, why not make it a clean one! 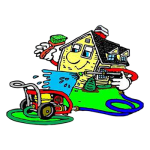 We are YOUR pressure washing solution!